I want to share with you a dream…. a dream that I had back in April of 1990 while I was on a vacation in Mexico. Several days ago, over 23 years later, I had another dream in which I was told to make the information that came to me in this first dream of long ago available to a wider audience now as 2013 comes to a close. In my dream back in 1990, I am in California, (perhaps San Francisco, or Los Angeles). I am standing at the foot of a hospital bed. The bed has a long iron railing at the foot. There is a woman next to me, to my right. In the hospital bed is a man. He has been operated on, but he is not in very good shape, in fact, I believe he is terminal. I have a double terminated crystal in my hand. The woman to my right is singing a single tone with harmonics. Her voice acts almost like a tambura, droning a single tone replete with many different harmonics. I begin to sing into the crystal, which is now pointed at the man in the bed. The crystal singing is a combination of toning and mantras. I am projecting single tones, harmonics, vowels and consonants, moving up and down the scale. (It is almost as though the woman singing the drone is a tambura player, and I am a sitar player working with the different notes and melodies). However, while I am singing different notes and melodies, I am also working with mantras. These sonics are unique. 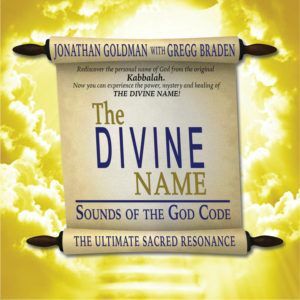 They are like sounds I’ve never heard before, combining different languages, including Hebrew, Arabic, Sanskrit and Tibetan along with the tones, harmonics and other sounds that come forth. I sing this seemingly inter-dimensional sound pattern into the crystal while the woman continues to drone the harmonic tone. Immediately after waking up from this dream, I knew this was something very special; I knew it was a technique that had been given to me from another plane, which I was to take back and share with others. I also knew it was a technique that I was meant to use in my healing work. As noted above, I recently had another dream, which referred me back to this first dream, and thus I am sharing it with you now. The first thing that came to mind when I began thinking about these dreams (and specifically, the technique that took place), was that this was a sound healing technique designed for two people. In the first part of the technique, the woman creating the drone, seemed to set a ‘field” with sound. I believe that this woman had previously scanned the person to find out which specific field would be most effective. (This field would be equivalent of somehow sterilizing an area so that nothing imbalanced could manifest in it). Further contemplation on the first part of this technique indicates that the person doing the drone was creating a powerful morphic field so that the second role of melody, harmonics, mantras, etc. could be more effective. 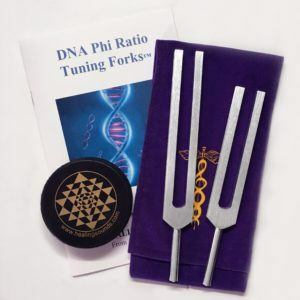 The second part of the technique, that of my singing the specific tones and mantras into the crystal, created the fine tuning work necessary for true rearrangement and realignment of harmonic patterns to emerge. It is also important to remember that the sounds I was toning were directed into the crystal, which was held in my right hand and pointed at the person needing the healing. The morphic field being created in this healing technique was one in which the “intruder energy of the virus” or what not, could not exist. An energy field was being created by the drone of the first part of the technique, which was allowing for true healing to take place. It created a stable environment where the fine-tuning sonics of the second person (in the dream that person was me) could be specific and powerful. Without this morphic field being created by the first person, the fine tuning of the second person would not be as effective because it would have to interface with the energetics of the original imbalanced field that was vibrating out of harmony. The sound of the second person singing into the crystal would certainly have effect, but it would not be as long lasting or create as significant change as within the field. It also seems that the subtle energetics of singing the specific sounds into the crystal were much more amplified in a field conducive to this work—the morphic field created by the first person. I did not see how this session actually ended in my dream, but I am inclined to believe that the results were positive; that some very profound healing had occurred. It is my belief that I was to remember that this specific technique of two people toning together—very differently, but nevertheless working coherently, was the important key factor in this healing technique. Later, when I returned home from my vacation in Mexico, I listened to a psychic reading that had been done for me before the New Year of 1994. I had not listened to this reading since I had received it. In this reading, I was told that in the beginning of April of 1995, I would have a tremendous infusion of wisdom and be given significant information from the higher planes—material that I had been waiting for that would allow me to take this sound healing work to a new level. I believe this well may have been that insight. Until this time, I have not shared this experience or information. Now, as we are approaching this 2014 New Year, full of all sorts of new positives possibilities, I’d like to suggest that the wisdom of this dream might manifest as a powerful healing technique; that of two people working together, with two very different self-created vocalizations, each fulfilling their own specific purpose, with regard to using sound to heal. I trust that sometime soon, such a technique will manifest and be utilized for both healing and transformation of ourselves and our planet. That would be my wish for 2014! Thank you for inspiring so many of us to find our toning voices. Since I declared that I would tone everyday with a daily practice of chakra clearing tones from root to crown and then down, I have found that I am more open to sounds being channeled through me. I have studied a bit of REIKI which helped me to be more open as well. Now I provide sessions for people with REIKI and my own voice. People find that it is quite healing in a variety of ways. I also perform what I call “Sound Washing” over groups of people. In both situations I am transported and the sounds come through me. Sometimes I am quite surprised by the sounds that come out of my mouth. There are deep, shaman sounds that assist people with releasing. And high, angelic sounds that transport audiences to another realm. I thank you for being in the forefront of this work. It is time for vocal toning to be an everyday thing that everyone knows about. I have wondered about hospitals as you describe in your dream. Why aren’t we doing this in hospitals? What will it take to have this available to more people? Even if it is to heal people as they are transitioning, as the body is dying. P.S. – I believe that the double terminated crystal from your dream is a “Vogel crystal”. Thank you for sharing this fabulous dream! I believe that the timing to share your experience is on target. Many people are becoming aware of sound ; from music, crystal bowls, mantra and beyond. The energetics of sound deployed by our life given breath is a blessed and emerging field. And by your confirmation a healing field. With Loving light and all best wishes of the holiday season! Jonathan, thanks for sharing these insights. Yes, your first dream and your insights into this technique resonate with something inside me. I have studied with a woman spiritual teacher who was taught by her committee of Light Beings how to do toning specifically for individuals to attune them to certain spiritual work. She told us that she hears the pitch in her mind and then matches that with her voice. Then “they” take over her voice. So it’s like she’s channeling not words, but frequencies. This all started in 1974. Over time, she was instructed to use multilayered sounds via recording different sound tracks and then at the event, as the recording of the other tracks started to play, her committee would take over her voice again for the final track that we would receive. The effects on me were profound. I’ve rarely heard any sounds so “heavenly” as when the Beings of Light took over her voice. So I think that if you first record the drone frequency (or have a woman do it) and then play it, you can then tone into the crystal while the recorded drone frequency is also sounding. This way you could do the whole technique yourself – but if the drone frequency needs tuned to each person (healee), then you’d first have to establish what that frequency was. So just a few thoughts/suggestions that you may be able to use. Bless you and your work – and Andi, too! 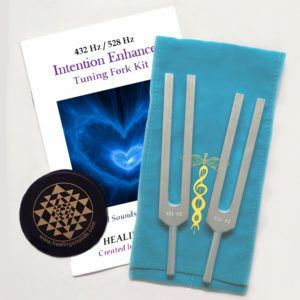 Hi, Jonathan, Fabulous dreams and, yes, I know these things are possible and we will be remembering more and more how to access the right tones and frequencies for healing! Quite spontaneously I have been singing language of light stuff but still a bit like babbling and I have no clue as to meaning, nor do I consciously do it…it does me. I’ve been doing this with the nature kingdom beings for a number of years but this is somehow different and more from the stars, I think. Much love to you both – big hugs to Andi – and hope to interface with you sometime soon. If this were my dream, I’d say that the man in bed is symbolic of the unhealthy, unbalanced, terminal masculine energy that currently causes dis-ease on Earth. I’d say that the woman symbolizes the divine feminine that is and always has been the sacred field from which Life arises and that you played the role of tuning into and harmonizing with that field in the form of a divine masculine energy, divinely informed to bring to this dimension the precise awareness required to alter the trance, to awaken the divine masculine back into its rightful benevolent role.